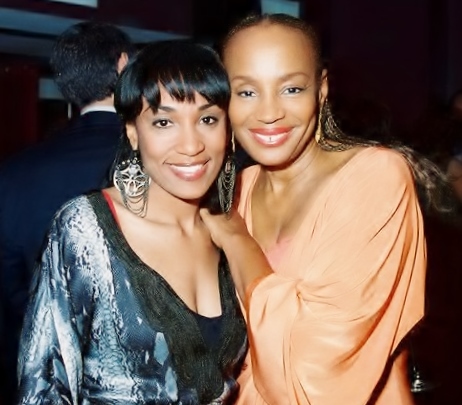 To say that Susan L. Taylor has inspired me is a complete understatement. This amazing icon carries an aura that can only be experienced in its fullness when one is blessed to be in her presence. As former editor-in-chief of Essence Magazine, sister Susan left the publication in January 2008, after 37 years to join with community leaders in mounting the largest mentoring movement in the history of the nation. Founded in 2006 as Essence CARES, the National CARES Mentoring Movement is today a fast-growing coalition of some of the nation’s most trusted organizations, concerned Black Americans and caring supporters. I could say so many powerful words about sister Susan, but I will share her own words as her inspiration, “My life has been transformed, and I am grateful. For me, this (National Cares) Movement is very personal; it is my way of giving back to my community that has given so much to me.” Her legacy? Leading our nation in coming together for the most important work of our life: the critical quest to save and secure our young. Cheers to you, sister Susan. Cheers. This entry was posted in Legacy Lessons from the C-Suite, The CEO Pundit™ and tagged African American, Book, Branding, Business, Business Services, Candace Reese, CEO, Change, Chief executive officer, Editor-in-chief, Empowerment, Empowerment Speaker, Encouragement, Entrepreneur, envision global corporation, Essence, Essence CARES, Essence Magazine, Executive Coach, Facebook, Global Branding, In the Spirit, Inspiration, Inspirational Coaching, Internet Marketing, Ladies Making History, Law of Attraction, Leadership, Management, Marketing and Advertising, Motivation, National CARES Mentoring Movement, Networking and Peer Support, Oprah Winfrey, People, Personal Development, Philanthropy, Professional Speaking, Public relations, Purpose, Self-Improvement, Small business, Social Media, Susan L. Taylor, Teamwork, The CEO Pundit™, Twitter, United States, Women, Women's History Month. Bookmark the permalink.